Seva, along with Greenpeace, was on of the first charitable organizations I began donating to when I was a teenager. I was led there by my musical interests and continued to donate based upon their work. I became even more enamored with the organization after learning about its founding in Wavy Gravy’s movie [amazon_link id=”B005CW5E2A” target=”_blank” ]Saint Misbehavin[/amazon_link]. This International Women’s Day, I’ve decided to celebrate by making a donation to Seva. Fact: Two thirds of the 39 million blind people in the world are women, that’s 26 million women! After education, curing blindness is the most cost effective development method for women. Your gift to Seva helps women emerge from darkness into light. Fact: Native American women have the highest age-adjusted death rate for diabetes. Heart disease is the leading cause of death for American Indian women. 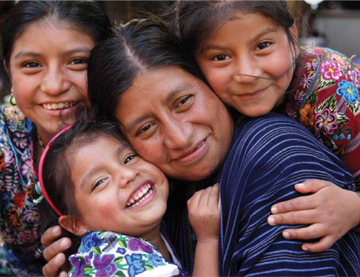 Your gift to Seva supports healthy food and practices through women-led projects. Fact: For over thirty years Seva has been a leading innovator in sustainable healthcare and community development programs.